The Barotse National Freedom Alliance (BNFA) has called on Litunga Lubosi Imwiko ii to voluntarily abdicate the Litungaship to avert further shame. And the BNFA has called on people to turn up in numbers at the High Court in Mongu tomorrow when the case in which Lozi traditionalists have sued the Litunga to abdicate for allegedly violating Lozi customs and traditions. The BNFA has charged in a statement issued by its publicity wing that the Litunga was being controlled and used by the Zambian government as an instrument of oppression on his people. 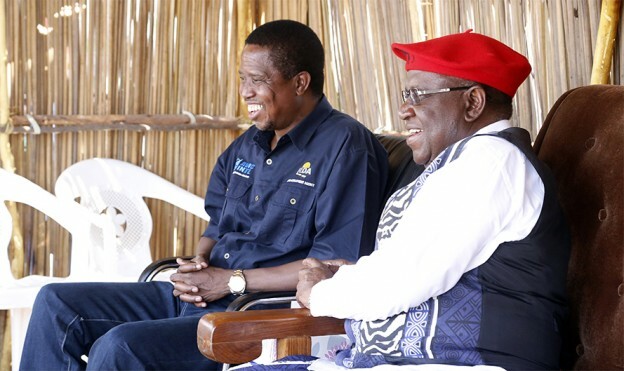 The alliance has further accused the Zambian government of meddling in cultural and traditional affairs in Barotseland to a point of even directly being involved in the installation of a Litunga; a move they allege has resulted in the Litunga being an agent of the Zambian government. ‘It is for this reason that we see Litunga Lubosi turn against his people and in particular Edwin Lubosi Imwiko ii chose to reject the Barotse National Council (BNC) Resolutions of 27th March 2012, which declared independence of Barotseland,’ states part of the statement. The Litunga is also accused of having connived with the Zambian government in the police killings that took place on 14th February 2011 during the Mongu riots on the Barotseland Agreement. ‘The BNFA is calling on the people to rally behind the BNC resolutions and welcomes the court action by Induna Imbwae Nabiwa Imikendu against Lubosi,’ reads the statement. The alliance has also demanded that the Zambian government must release all Barotse activists currently serving jail sentences. The case in which the Litunga has been sued by traditionalists comes up for hearing tomorrow Friday 24th February at the High Court in Mongu. The embattled Litunga yesterday called for an urgent Privy Council at Limulunga Palace involving all senior Chiefs in Barotseland.